We are independent. 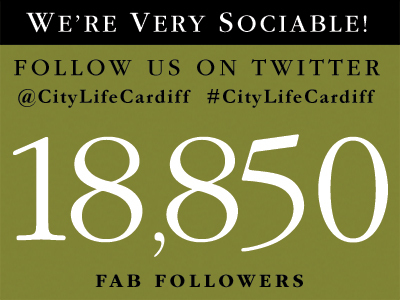 We’re passionate about Cardiff life and the independent businesses in Cardiff – we believe we make a difference. © Copyright Good Life Publishing 2016. All rights reserved. Nothing in the magazine (including adverts), or on this website, may be reproduced in any shape or form (in whole or part) without the express written permission of the publishers. We take breach of copyright and theft of intellectual property extremely seriously and will sue at the drop of a croissant. You have been warned (nicely); ignorance is no excuse. The pulp used in the production of the paper City Life is printed on is obtained from sustainably managed Scandinavian tree farms and utilises an elementary, chlorine free bleaching process. We have made every effort to ensure that all information contained in City Life or on www.citylifecardiff.co.uk or www.citylifecardiff.com is correct and accurate. However, we accept no responsibility for any errors or omissions, and can offer no compensation should we get it wrong. Please note that the opinions, thoughts, views or ideas expressed in articles contained in City Life are strictly those of the authors. All advertisers have supplied their own copy (and in some cases artwork), therefore City Life cannot accept any responsibility for disputes between advertisers and their customers. Caveat emptor – let the buyer beware. To guarantee your beautifully printed copy of Cardiff’s City Life magazine, please send a cheque for £20.00 (four issues) made payable to City Life. Address is on the contact page. Or you can just subscribe to the digital edition free of charge. Missed the last City Life? We hold a small number of each issue in stock so if you do need a pristine copy, please email jennifer@citylifecardiff.co.uk or telephone us. Hopefully we’ll have the issue you want (but we cannot guarantee it). Each back issue costs £5 including postage and packing. Cardiff’s City Life is distributed free through a wide variety of outlets. City Life magazine is given away free of charge on the understanding that we are happy for it to be lent, passed around, given to friends and generally read until it falls apart. At which point, you can recycle it and we’d be delighted if you did.